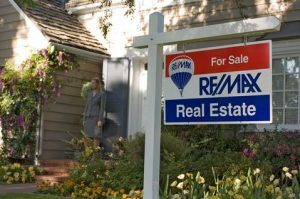 The city’s resale housing market continues on the path of recovery but the road is expected to remain somewhat bumpy in 2018, according to the Calgary Real Estate Board’s forecast report. The report says stricter lending criteria and higher interest rates are likely to offset modest improvements in the city’s overall economy. CREB is forecasting MLS sales of 18,853 in 2018, which is a decline of 0.15 per cent from 2017 while the overall benchmark price will fall by 0.13 per cent from $437,808 last year. New listings are expected to rise by 0.66 per cent to 34,354. “Housing market conditions are expected to remain relatively unchanged in 2018,” says Ann-Marie Lurie, CREB’s chief economist. The real estate board’s report says factors contributing to the Calgary housing market’s stability include: improvements in the economic climate countering the impact of changes in lending criteria; employment growth and reduction in the unemployment rate; modest gains in migration; easing vacancy rates in the rental market; relative affordability in the market; and improved confidence in the overall economy. Sales for the detached market this year are expected to dip 1.3 per cent to 11,680; rise by 2.25 per cent in the attached market to 4,276; and increase by 1.01 per cent in the apartment sector to 2,898 units. The benchmark price in the detached market is forecast to drop 0.1 per cent from $504,867 last year; increase by 0.38 percent in the attached market from $332,325; and fall by one per cent from $263,475. “We are entering 2018 with elevated supply levels and an environment of rising rates paired with stricter lending criteria. However, the improving economy generated modest job growth and net migration last year, with expectations of further improvements into 2018,” says the CREB report. “The opposing impacts of the changes in the lending environment and economic gains are expected to cause adjustments in demand/supply balances based on price range and product type, creating pockets of over/under supply and generating different paths of price recovery. Overall, it is expected to generate conditions comparable to 2017 and the dynamics within each sector of the market will vary. In Calgary, 2017 also marked the end of the two-year recession and further gains are expected in 2018. Despite the two-year growth, overall economic activity is expected to remain below 2014 output. Growth figures appear strong, but this is over a lower base level, as Calgary has not experienced two consecutive years of recession since the ’80s. Overall, fundamentals are supporting a modest recovery to span over the next two years, added the CREB report.